Such is the shortage of country houses coming to the market that some buyers are copying the tactics of the Minutemen in the American Revolutionary War. Like the highly mobile forces that were able to be rapidly deployed to counter bellicose threats, those frustrated in their search for their ideal country house are choosing to wait in the wings and rent, poised to pounce once a suitable house emerges from the mists of the recession. Particularly in the case of ‘expatriate’ Londoners moving to the country for the first time, the rent-before-you-buy approach is by no means a second-best option: it affords an opportunity to get to know an area better before settling permanently. With judicious use of time spent in the appropriate places (the local garage, pub or shop), it allows would-be buyers to plug into the local network, which should alert them to a house coming to the market before the official launch and if, as usually is the case, there’s a pressure on to decamp before a child starts at prep school, it removes the temptation of committing the expensive error of settling for the wrong house in the right place. shifted back to landlords, who are dictating terms and aren’t as willing to negotiate as they were this time last year,’ says Sarah Daly of Property Vision’s rental search service (01344 651700). 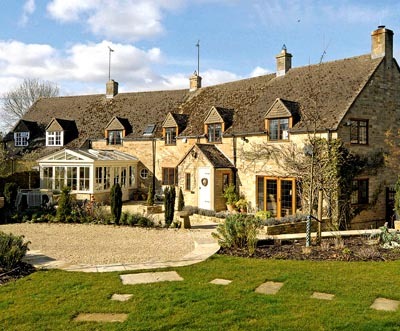 In areas that are popular, such as the Cotswolds, houses are receiving multiple bids from would-be tenants. Furthermore, by its very nature, renting is only a temporary solution, which has an expiry date. ‘We’re beginning to sense that, now that there’s a little more confidence coming out of the City, some wives are putting pressure on their husbands to put their bonuses to good use and settle somewhere more permanent,’ says Mr Bramwell.